My Blog post of the week last Monday described a method of laying the whole field in a horse race so that you would profit if at least two horses reached the lay price you set. Before I start todays round up, I would just like to thank Scott Ferguson of the Sport is made for betting blog, for originally posting up this method and bringing it to our attention. Today was the eighth day that I have had the time to put the method into action and as you can see from the screen shot above, it was a losing day. 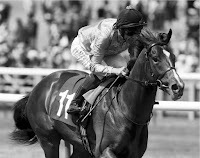 I decided that I would stick with the all weather and take on a 1 mile 5 furlongs handicap at Lingfield(14:10). The race was a wide open race with 9 runners. The race was won by the favourite ‘Wheres Susie’ who won quite easily. Because of the ease of the victory the next lowest traded runner; ‘Soundbyte’ only managed to trade down as low as 4.10 in running. As an aside Soundbyte never even finished in the first three home! think it works better in the 2m hurdle or chase races... More often a close finish compared to lingfield or southwell. Good to see you testing it! Scott Ferguson said he believed the same as you, so I am inclined to agree. I just wanted to explore as many different angles as this 14 days would allow so as to hopefully give us all a little food for thought.